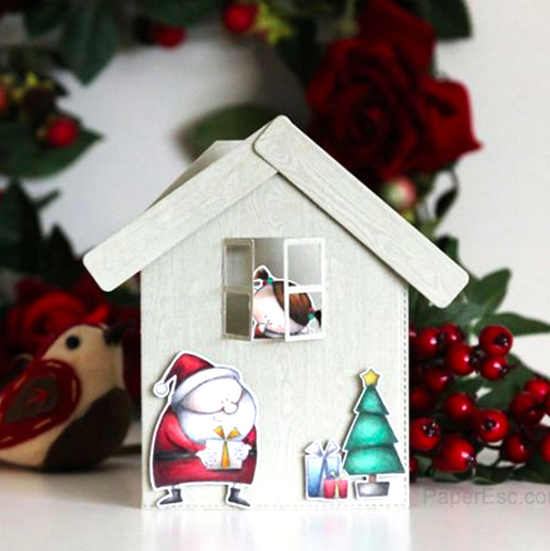 A happy jumble of holiday icons make for an adorable design from Maria! I love how she pulled the pine tree from the Warm & Fuzzy Friends stamp set to add to the images from Merry Everything. 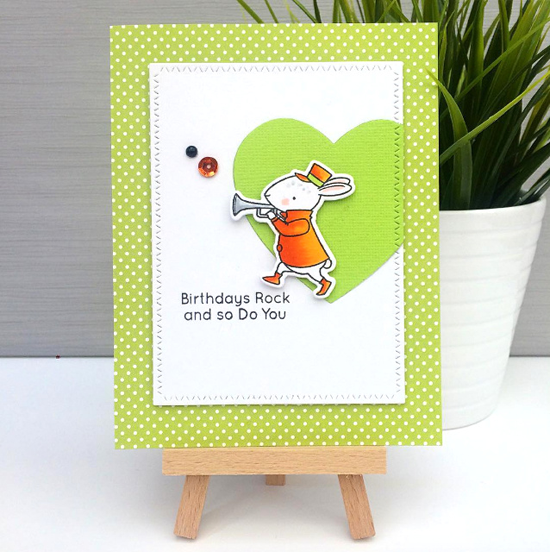 Caroline's card is simply cute with a fresh and sweet color combination and delightful polka dots. Her orange clad bunny is heralding a very happy birthday, indeed! This card was her entry for Sketch 300. 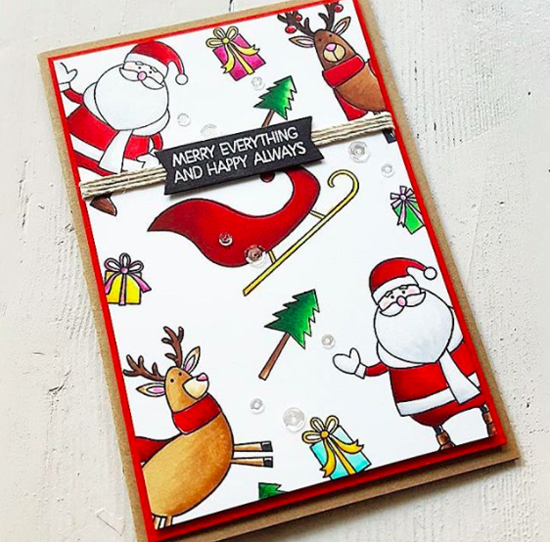 Well, isn't this a cute way to use the Jingle All the Way stamp set? I love how Liann has the little girl peeking out the window while Santa does his Christmas Eve duties in her home. 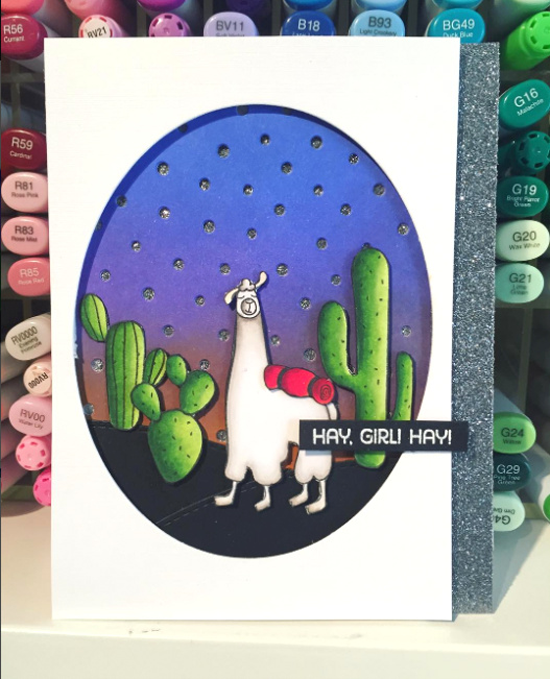 Jodene submitted this vibrantly colored card using our Llama Love stamp set for Sketch Challenge 304. That sky with the sparkly paper behind the Snowfall - Vertical Die-namics is magnificent! Of this cute design, Lexa quips, "Yetis are not only for Christmas — they are still adorable in everyday cards as well. Don't you agree?" Yep! Those Beast Friends can send cuteness all year long! Thanks for using MFT, ladies! You've left us inspired, and that's what it's all about! See you tomorrow for another great Sketch Challenge, and look for the next MFT Color Challenge on Thursday, November 24th. Oh wow! Such a thrill to see my card up there amongst all this amazing talent. You've really made my day. Thank you.